Flatiron Health, a healthcare technology and services company whose offerings are designed to support cancer-care providers and life science companies, would be acquired by Roche for $1.9 billion under a deal designed to expand the buyer’s presence in precision medicine and oncology. Flatiron Health has developed the OncologyCloud software suite, whose components include OncoAnalytics for deep clinical and business insights, OncoEMR for electronic medical record and workflow software, OncoBilling for claims filing, and SeeYourChart for sharing laboratory tests and other data directly with patients. The OncologyCloud platform infrastructure is designed to organize, track, and analyze data from cancer patients regardless of whether they are enrolled in clinical trials or not. “Our goal is to learn from every patient’s experience—not just those in clinical trials,” Zach Weinberg, co-founder, president and COO of Flatiron Health, said last year. According to Flatiron Health, the platform captures data from more than 2 million unique active cancer patients annually across all tumor types, while all but one of the top 15 life sciences companies focused on oncology use Flatiron data for research. Those companies include Bristol-Myers Squibb, Roche, and Merck. Leveraging OncoCloud, Flatiron Health co-developed the Clinico-Genomic Database in 2016 with Foundation Medicine. 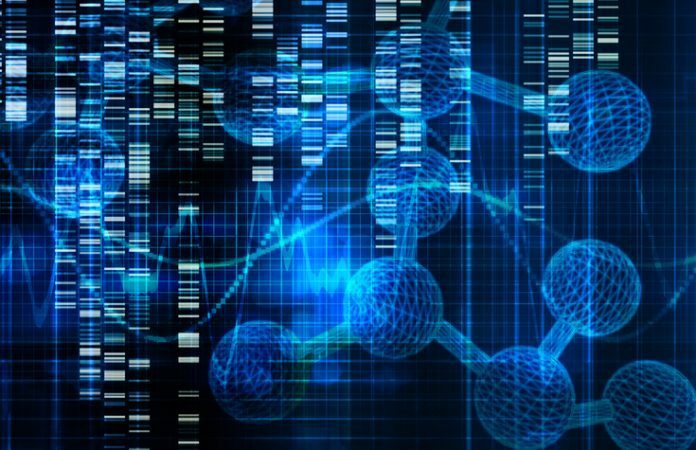 The database links Foundation’s genomic profiling data from 20,000 patients sequenced through the company’s comprehensive genomic profiling assays, with Flatiron’s longitudinal data detailing clinical treatments and outcomes, derived from patient EMRs. Vineeta Agarwala, M.D., Ph.D., director of product management with Flatiron Health, told Clinical OMICs in 2016 that the database could help address a key challenge in precision oncology: No more than 5% of cancer patients enroll in clinical trials, the Institute of Medicine (now National Academy of Medicine) reported in 2010, citing estimates from past research. More recent reports have quoted figures of 3% or 4%. “What this effort is trying to do is say: lets rescue that 96% of patients who aren’t able to contribute to research today, and learn something from their trajectory and their experience,” Agarwala said. According to Flatiron Health, more than 265 community oncology practices nationwide use OncoEMR. Oncology is one of Roche’s key therapeutic areas. The pharma giant’s top-four selling drugs in 2017, which generated a combined more than $25 billion in sales, are indicated entirely or in part to treat various cancers. Rituxan (also sold as MabThera, rituximab) topped the list with sales of CHF 7.388 billion ($7.980 billion), followed by Herceptin (trastuzumab) with CHF 7.014 billion ($7.576 billion); Avastin (bevacizumab) with CHF 6.688 billion ($7.225 billion) and Perjeta (pertuzumab) with CHF 2.196 billion ($2.372 billion). The planned acquisition is also the latest move by Roche focused on personalized medicine. In December 2017, Roche entered into a strategic, long-term partnership of undisclosed value with GE Healthcare—announced by GE Healthcare on January 8—to jointly develop and co-market digital clinical decision support solutions—with an initial focus on “products that accelerate and improve personalized treatment decisions for patients with cancer and those in critical care.” The companies said they aimed to develop an industry-first digital platform allowing for seamless integration and analysis of patient records, real-world data, medical best practice and the latest research outcomes. And in November 2017, Roche spent an undisclosed sum to acquire Viewics, a software company focused on cloud-based laboratory business analytics designed to help labs make quicker, data-driven decisions on their operations and processes. “As a leading technology company in oncology, Flatiron Health is best positioned to provide the technology and data analytics infrastructure needed not only for Roche, but for oncology research and development efforts across the entire industry,” O’Day added. O’Day, whose previous positions at Roche included COO of Roche’s Pharmaceuticals Division and before that its Diagnostics Division, took a seat on the board of Flatiron Health after Roche led Flatiron’s $175 million Series C financing round, completed in January 2016. The Series C round accounted for more than half of the $328 million-plus in financing raised by Flatiron Health since the company was founded in 2012. Roche is one of two big-name investors for Flatiron Health; the other is GV (formerly Google Ventures). As a result of the financing, Roche took a minority stake in Flatiron Health, and now holds 12.6% of the company’s shares. Roche plans to acquire all outstanding shares of privately-held Flatiron Health through its acquisition, which is set to close in the first half of this year, subject to customary closing conditions. Once the deal closes, Flatiron Health will become an autonomous separate legal entity and member of the Roche Group. Headquartered in New York, Flatiron Health has grown to nearly 500 employees. The company was founded by Weinberg and Turner, both former Google employees, after Turner’s then-7-year old cousin, Brennan, was diagnosed with a rare leukemia. “Inspired by personal experiences with cancer in our families, we always believed that cancer wouldn’t be “solved” by the healthcare community alone; it also needed close collaboration from the technology industry working together hand in hand,” Turner posted on the blog.